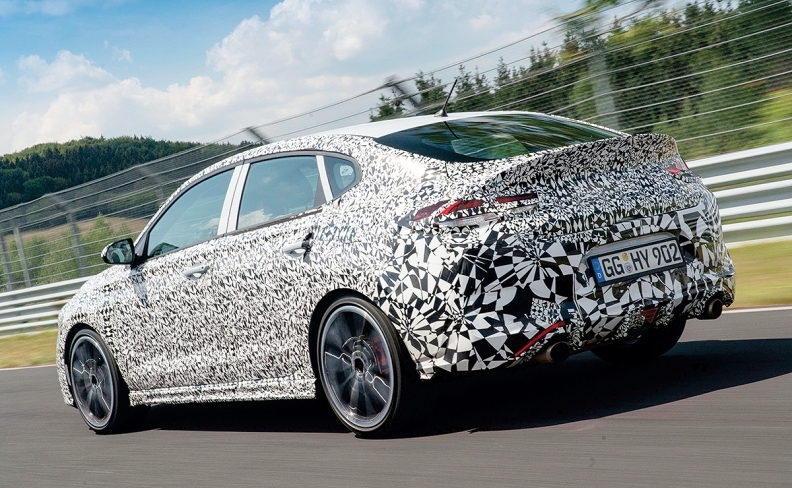 Spy photos show Hyundai's i30 Fastback N, which is to debut in October at the Paris auto show. NÜRBURG, Germany — Hyundai plans to launch at least two more N performance cars and could eventually develop an electrified version as it seeks a sportier image, a senior executive told Automotive News. The i30 Fastback N, which will debut in October at the Paris auto show, will hit showrooms in Europe at year end. This would be Hyundai's third N model in barely a year, following last September's i30 N hatchback launch for Europe and the Veloster N for the U.S. and Korea, which debuts in the fourth quarter. Albert Biermann, Hyundai-Kia's head of vehicle testing and high-performance development, said a fourth entry — possibly an SUV — was budgeted in his long-term plan, but the automaker could surprise with another model in between, bringing the total to five. "There's a car within the next two or three months that we probably have a chance to show to Vice Chairman Chung [Eui-sun] and our top management," he said on the sidelines of a Veloster N test drive here. "Depending on what is the current mood and situation, we might get a spontaneous 'OK, go for it.' "
Biermann said his team "could come up with a car in a pretty short time," depending on the segment. One reason he remains vague is that the N product plans depend heavily on the cadence of the base models. The i30 Fastback N wasn't originally planned, but was greenlighted shortly after Hyundai-Kia design chief Peter Schreyer showed a mock-up to Biermann, who promptly decided a performance version would be an excellent fit for the sporty sedan. The German engineer, the group's second highest ranking non-Korean executive, after Schreyer, also said his team is considering what alternative drivetrain could best power an N model. 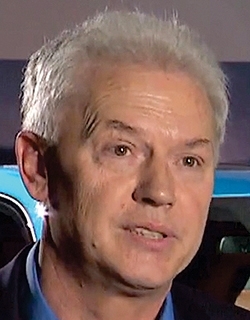 "When we think of cars after 2021 for N, I think we cannot avoid electrification," he said. "We will have an EV sooner or later. It's just a matter of timing." Increasingly stringent emissions legislation in major markets, such as those taking effect in the next decade in the European Union, require the brand to further reduce its carbon footprint. "As an example, we have an Ioniq EV. Were we to find a nice battery, a bigger motor and inverter, we could make an Ioniq EV N with a nice chassis and more power," Biermann said. "Something like that is not fully crazy." Although Hyundai is an industry leader in fuel cell vehicles, Biermann wasn't convinced those powertrains had a sufficiently high energy density to fit the needs of a sporty car with compact dimensions. Planting the untested technology in the body of a vehicle that demands a certain performance could pose additional challenges for a company that advertises a 10-year powertrain warranty. "We don't want to take too much risk there," he said. Customers shouldn't expect a performance line for Genesis because of the brand's positioning toward luxury and elegance. "Before the Genesis [stand-alone] brand was started, we had made some concept investigation for a G70 N," said Biermann. "Of course we would love to do that, but right now I cannot see that."